Did everyone have a great weekend? 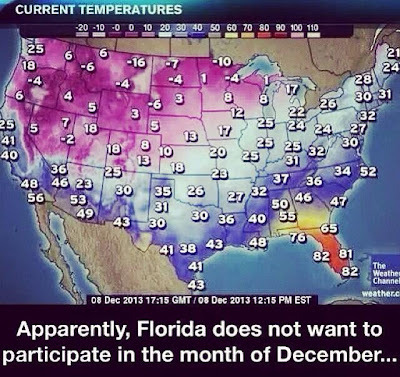 It seems that everyone is dealing with snow right now, except for Florida, who has chosen not to participate in the month of December. And of course, everyone had to remember to stock up on bread and milk! Seriously, it's as if people have forgotten they live in New York. 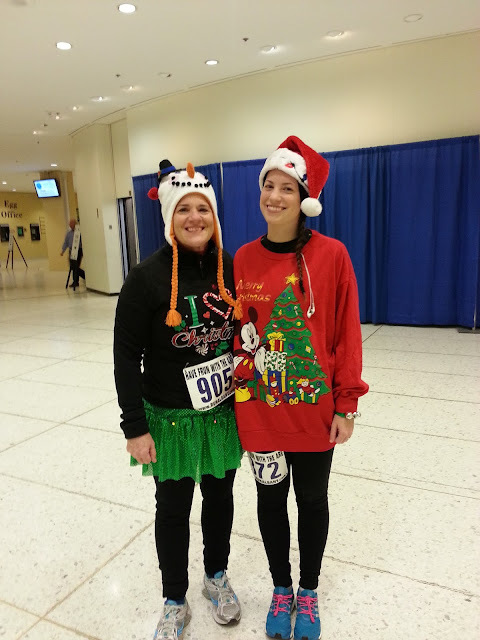 Before Snowmageddon 2013 hit us, my mother and I ran the Albany Last Run 5k. I was not supposed to do this race, as I had missed the signup as a result of some misinformation, but happily many people chose not to run because of the weather and I was able to take one of my Mother's friend's bib. 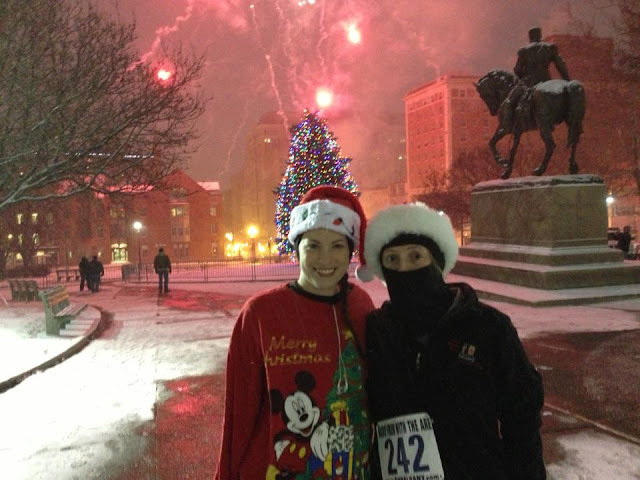 Running in a snow storm was quite the experience! Finally back in the Land of Dunkin Donuts! We tried to take pictures in the park with the lights. All the photos I took of my Mother came out just fine. Naturally all the photos my mother took of me are blurry, although she refuses to admit it. According to her, this photo is "a little blurry but not bad." Seriously, what is that? Sorry, Mom, not even close. Oh wells. I didn't have my gloves with me (wasn't planning to run!) and my hands were freezing! I'd say only about 30% of the people actually signed up for the run, which was a relief. With the snow coming down, the roads were rather slippery and slushy. The roads were salted in some places, but there were many puddles and narrow areas on the path - I think it would have been chaos if everyone had actually showed up! As it was, the roads were so bad I only went because my parents picked me up in their SUV. 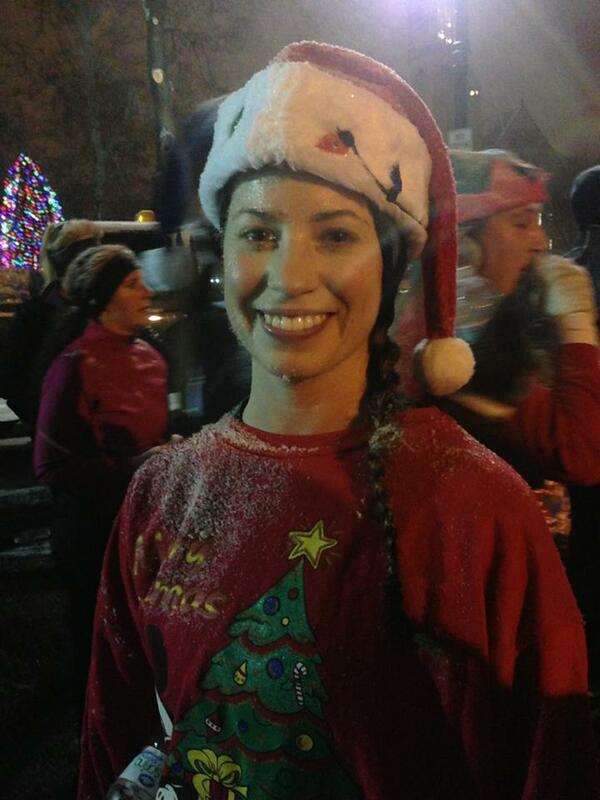 By the end of the race I my feet were frozen from puddles and my face was covered in a layer of ice, literally! Before, so happy and warm. After, definitely not warm...and kind of deranged looking. Because we stopped so often for pictures [that didn't come out], our time was pretty dismal and in the 32 minute range. Hilariously, this was around the same time as our Thanksgiving run! I have to say, the stopping and starting was challenging for me - I'm much better at just picking a pace and going rather than stop, rest, sprint, stop, rest, sprint. How was your weekend! Did you survive the storm?! Haha anytime my dad takes a picture, it's guaranteed to come out blurry. Whenever they come visit, I always have all these great pictures of them and terrible pics of us! Oh my gosh! I can't believe you guys ran in that-- so impressed! I love the cute outfits you guys always wear though! And that video is hilarious and so true!! You look sooooo cold! I thought about running on Saturday, but changed my mind and went to the gym instead! You are cray! I was inside, sipping cocoa. :) My walk with the dog that night was cold enough- brrr! 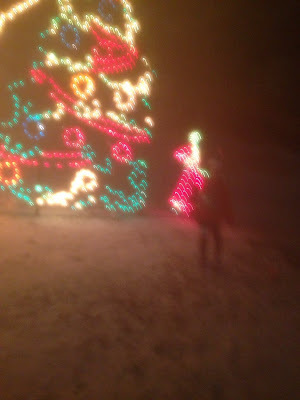 Haha too funny, my mom doesn't know how to work a camera either. I can't believe how much snow we got, I took it as an excuse to stay home in my PJs, good for you for heading outside to race! Even in a Mickey Mouse Christmas sweater, you are totally badass! Well done! Go you for running that race!! I have a hard time running when the weather is perfect!! Girl! You are a rock star for running that race. My fiance is from Buffalo and he told me about this race. It looks so cold!!!! Congrats on the race! The 5k looks like fun! 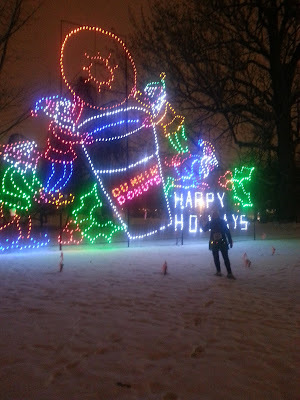 I love all the lights - so pretty! It looks like you are having such a great time! I wish it would snow where I live, your photos are beautiful! Great job on completing the race in that weather! Lovely photos and funny comments about your mom's photo taking skills, lol. I know how you feel. Whenever I take photos, they come out great but when you ask someone else, for some reason, they are always blurry or something is wrong with them. Well, congrats on finishing, I don't know if I would've done it in a snow storm. I'm sure it was an experience. Have a great day! As much fun as this looks, I would have been FREEEEZING! Um, this makes me cold just looking at it! Go you for running it (I hate running when it's less than 40 degrees out, much less snow!). Cannot imagine running without gloves in the snow. You're amazing! 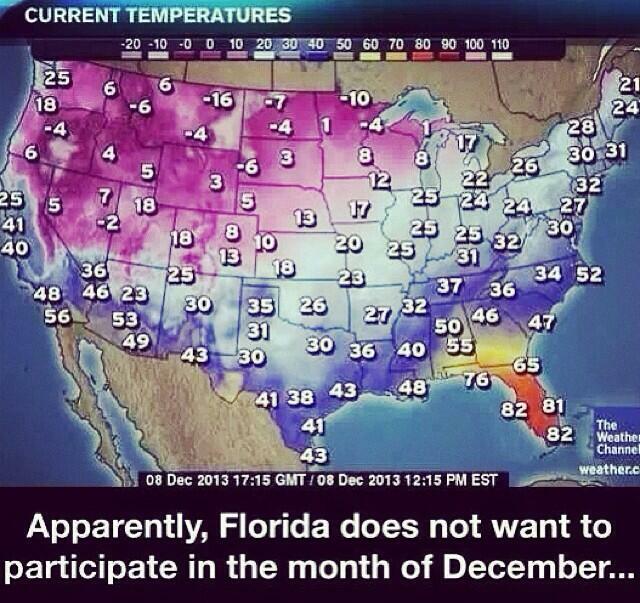 That first picture had me laughing - apparently, Florida does not want to participate in the month of December!! Dang, you go girl! There is no way I would have ran out in that, brr! Anyways, you are such a champ for running in that kind of weather!